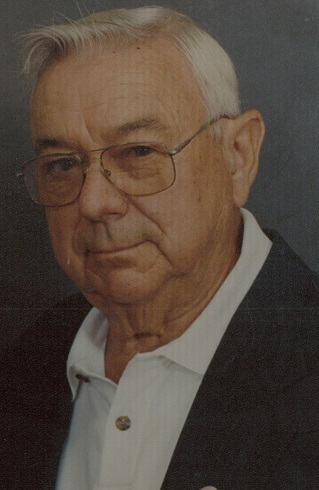 Robert E. Mueller, 93, of Silvis passed away Nov. 11, 2018 at New Perspectives Assisted Living. Funeral services will be 11am Friday at Schroder Mortuary in Silvis with visitation 1 hour prior to service time. Burial will be in Rock Island National Cemetery. Memorials may be made to Hospice Compassus or American Heart Association. Robert was born Dec. 26, 1925 in Wever, IA the son of Robert Sr. and Elsie Lang Mueller. He married Martha L. Hasenclever Aug. 1, 1945. She passed away Aug. 28, 2018. Robert served in the Navy during WWII. After his service he worked on barges on the Mississippi River. He later retired from AT&T after 30 years of service. After retirement Robert helped his son David build houses. He enjoyed golfing and was a past member of the Geneseo Country Club. Survivors include his children Kathleen (Gerald) Schmidt of Grand Junction, CO and David (Jean) Mueller of Moline; grandchildren Andrew, Jared and Jonathan Schmidt and Temple Miller; great grandchildren Abigail and Emily Coakley. Robert was preceded in death by his parents, wife and a brother Howard.